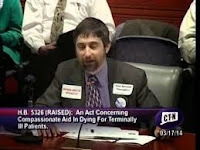 Until recently, the [Connecticut Suicide Advisory Board] CTSAB was considering assisted suicide of the terminally ill as a separate issue from suicide prevention. The active disability community in Connecticut, however, has been vocal on the need for suicide prevention services for people with disabilities. There may be unintended consequences of assisted suicide legislation on people with disabilities. Peace (2012) writes that "Many assume that disability is a fate worse than death. So we admire people with a disability who want to die, and we shake our collective heads in confusion when they want to live.” People with disabilities have a right to responsive suicide prevention services. The CTSAB intends to continue to explore the needs of the disability community for such services. (Emphasis added). • Do not "assume" suicide is a "rational" response to disability. In the last five years, four states have strengthened their laws against assisted suicide. These states are: Arizona, Idaho, Georgia and Louisiana. In the last 30 days, courts in New Mexico and California have rejected assisted suicide. The New Mexico Court of Appeals struck down a lower court ruling that had allowed physician-assisted suicide. A California trial court declined to legalize physician-assisted suicide, holding that California's law prohibiting physician-assisted suicide is constitution. This year, there have been 25 plus proposals to legalize physician-assisted suicide in the United States, not one of which has passed. There are just three states were physician-assisted suicide is legal: Oregon; Washington; and Vermont. In a fourth state, Montana, case law gives doctors who assist a suicide a defense to a homicide charge; the doctor can still be charged. In both Montana and Vermont, there are active movements to eliminate assisted suicide. California's ABX2-15: Governor Not Impressed; Bill Is But A "New Number With the Same Song." The new bill, ABX2-15, is in substance an old bill (SB 128) that was unable to make it out of committee. ABX2-15 applies to patients with a "terminal disease." In Oregon, which has a similar law, such persons include young adults with chronic conditions such as insulin dependent diabetes and chronic lower respiratory disease. People living with HIV/AIDS, who are dependent on their medication to live, also qualify as "terminal." Such persons can have years, even decades, to live. ABX2-15 is but a new number with the same song. Don't be fooled. To view a detailed legal/policy analysis of ABX2-15, please click on the following links: Executive summary and index; Memo; and Appendix/Attachments. The original pdf version of this memo has an executive summary and index, which can be viewed here. The attachments can be viewed here. 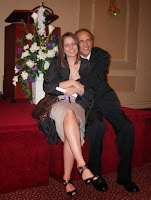 I am an attorney in Washington State where assisted suicide is legal. Our law is based on a similar law in Oregon. Both laws are similar to the proposed California bill, SB 128. Enactment of SB 128 will create new paths of elder abuse. “Eligible” patients will include people with years, even decades, to live. I urge you to reject this measure. Do not make Washington’s and Oregon’s mistake. “We conclude that aid in dying is not a fundamental liberty interest under the New Mexico Constitution,” said Judge Timothy L. Garcia in the majority opinion. AN effort to legalize “assisted suicide” in California has been put on hold. The rationales that caused California lawmakers to rethink the proposal deserve attention elsewhere. This is especially true of arguments put forth by Dr. Aaron Kheriaty, a psychiatrist who is director of the Program in Medical Ethics at the University of California Irvine. Proponents of assisted suicide portray it as a humane solution for people in the last stages of painful, debilitating, terminal illnesses. But in a letter sent to California lawmakers, Kheriaty demonstrated that such laws can lead to death for a far wider, and often healthier, population. Thousands of elderly people have been killed by their own GPs without ever asking to die under Belgium’s euthanasia laws, an academic report said yesterday. It said that around one in every 60 deaths of a patient under GP care involves someone who has not requested euthanasia. Half of the patients killed without giving their consent were over the age of 80, the study found, and two thirds of them were in hospital and were not suffering from a terminal disease such as cancer. In about four out of five of the cases, the death was not discussed with patients subjected to ‘involuntary euthanasia’ because they were either in a coma, they were diagnosed with dementia, or because doctors decided it would not be in their best interests to discuss the matter with them. Very often doctors would not inform the families of plans to lethally inject a relation because they considered it a medical decision to be made by themselves alone, the report published by the Journal of Medical Ethics said. A Delaware State Representative just wrote me that their assisted suicide proposal, HB 150, was tabled today in Committee. (The bill is stuck in committee). 3. Legalization of assisted suicide is a recipe for elder abuse. Once the lethal dose is issued by the pharmacy, there is no oversight. Even if the patient struggled, who would know? 4. In Oregon, other (conventional) suicides have increased significantly with the legalization of physician-assisted suicide. In Oregon, conventional suicides are a $41 million problem due to hospitalization costs, etc. See http://www.choiceillusion.org/2014/03/the-high-financial-cost-of-regular.html Legalization, regardless, sends the wrong message to young people that suicide is an acceptable solution to life's problems. Dore, an attorney in Washington State where assisted suicide is legal, explained, “In my law practice, I started out working in guardianships, wills and probate, and saw abuse of all kinds, especially where there was money involved (where there's a will, there are heirs). Then, in 2008, I got dragged to a meeting about our assisted suicide law and saw the perfect crime: your heir could help sign you up, and once the lethal dose was in the house, there was no oversight. Not even a witness is required. If you struggled, who would know?" A Scottish assisted suicide bill has been defeated in its parliament: 82 - 36. The Bill would have allowed those with terminal or life-shortening illnesses to end their suffering with the assistance of another person, known as a "licensed facilitator". It is being championed by Green MSP Patrick Harvie following the death of independent MSP Margo MacDonald in April 2014. Alison Britton, convener of the Law Society's health and medical law committee, said the organisation was concerned that the Bill lacked clarity and would be difficult to enforce. She said: "We have said throughout the passage of this Bill that legislation in this area needs to be absolutely clear and those seeking to end their lives, and those who assist them, need a robust and transparent process to be certain under which conditions it would be lawful for assistance to be provided. "We remain concerned over the lack of definition of the key terms, such as 'assistance' and 'life-shortening' and the functions of the licensed facilitator are still uncertain. "Lack of such clarity leads to ambiguity and leaves the legislation open to interpretation." In 1994, Jeanne Hall, a resident of King City, Ore., voted in favor of Ballot Measure 16, which for the first time in the United States, would allow terminally ill patients to end their own lives through physician-assisted suicide. That day at the ballot box, Hall never could have predicted that more than 15 years later, she would be diagnosed with inoperable colon cancer. ​Dakota County Attorney James Backstrom announced that a Dakota County Jury has found Final Exit Network, Inc. guilty of Assisting Another to Commit Suicide and Interference with a Dead Body or Death Scene in connection with assisting Doreen Dunn in committing suicide on May 30, 2007 at her home in Apple Valley. The jury deliberated for less than two hours. Judge Christian Wilton set the sentencing date for August 24, 2015 at 9:00 a.m. in Hastings. Backstrom thanked the Apple Valley Police Department and the Georgia Bureau of Investigation who aided in the investigation of this case. Backstrom also thanked Assistant County Attorney Elizabeth Swank and Chief Deputy Phil Prokopowicz who prosecuted the case. California: Memo to Senate Appropriations Committee: "Vote 'NO' on SB 128: The financial impact is potentially 'enormous.'" In 2010 alone, self-inflicted injury hospitalization charges exceeded 41 million dollars. California: "SB 128 has the potential for a large and adverse financial impact." Please accept this cover letter and memo in opposition to SB 128 for the purpose of the May 11th hearing. SB 128 seeks to legalize physician-assisted suicide. "In 2010 alone, self-inflicted injury hospitalization charges exceeded 41 million dollars." (Emphasis added).